Could OmniVision become the new benchmark in smartphone cameras? You are here: GeekSays Technology News » General » Could OmniVision become the new benchmark in smartphone cameras? When you’re buying a new smartphone, the camera is a very important factor, because it will be your main device for taking quick photos. If you’re not a professional photographer, that is. Most of today’s handsets are equipped with Sony’s Exmor sensors, as the Japanese manufacturer has proven not once that they can make some very capable snappers. Is this a threat for Sony’s smartphone camera business? Still, this might change soon, at least when it comes to high-end smartphones, as another player, currently owning ~16% of the market, could become a serious competitor for the Exmor sensors. OmniVision, a company based in California, has just finished developing a new high-end sensor, already available for sampling, according to Phone Arena. 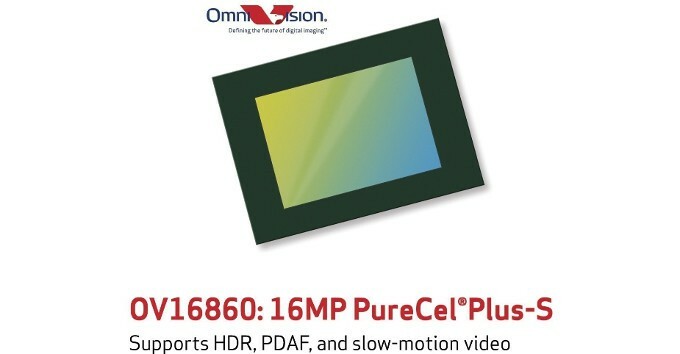 OmniVision’s new product, codenamed OV16860, is a large 1/2.4″ sensor, measuring 10.5 by 10.5 mm and has a height of 5.8 mm, so it can fit in most smartphones. It has a 16 MP resolution, hence a 1.3 microns pixel size, being able to capture more light and perform better in low-light conditions than similar snappers. Besides these technical details, it offers support for phase detection autofocus, slow-motion video and, of course, high dynamic range photography. To be more specific, the OmniVision camera can shoot 4K UHD videos, at a resolution of 3840 x 2160 pixels and 60 frames per second. Ok, these are some impressive numbers, but how long until we’re going to see it in action? A few months, if big manufacturers will be interested in it. Which manufacturer will be the first to test the sensor’s ‘powers’? Currently, the only chipset able to support the OmniVision snapper is the newly-announced Snapdragon 820, so the first phones equipped with it could have an excellent camera as well. It’s true, Samsung’s Exynos 8890 can deal with it too, but we doubt that the South Korean manufacturer will switch from Sony to OmniVision.